YOKOTA AIR BASE, Japan -- Staff Sgt. 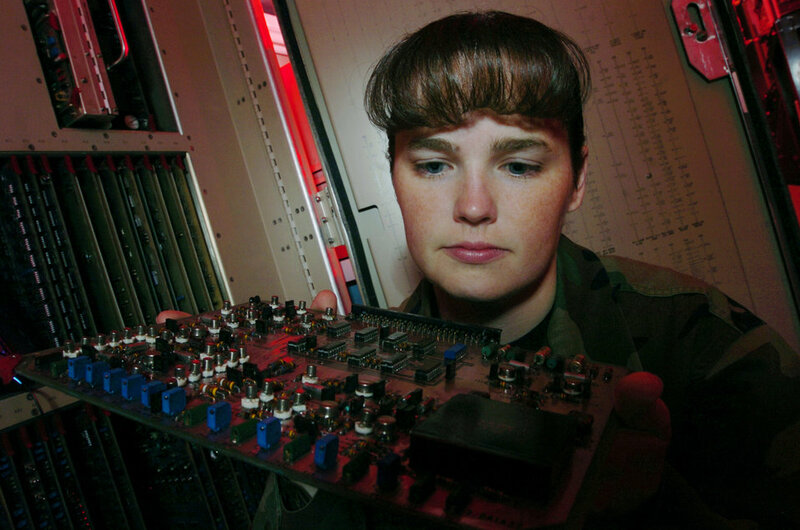 Kelly McKenzie inspects a circuit card for airport surveillance radar processor equipment during a preventive maintenance inspection here. Radar technicians install, maintain, overhaul and repair ground aircraft control and warning systems used to guide incoming and outgoing aircraft here. She is assigned to the 374th Communications Squadron.